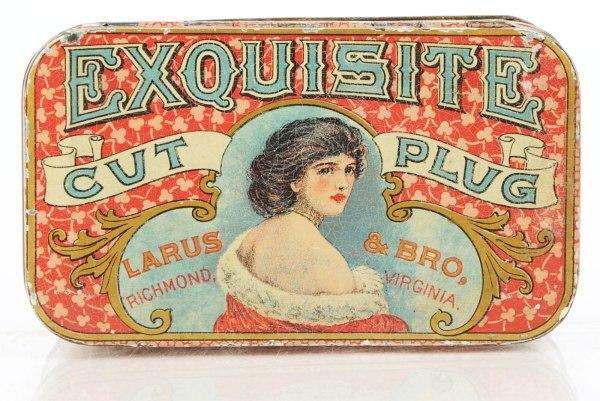 Tobacco manufactured by Larus & Bro. in Richmond, VA. Beautiful image of woman on front of tin. Extremely rare. Haskers & Marcuse. 4 – 1/2″ L.